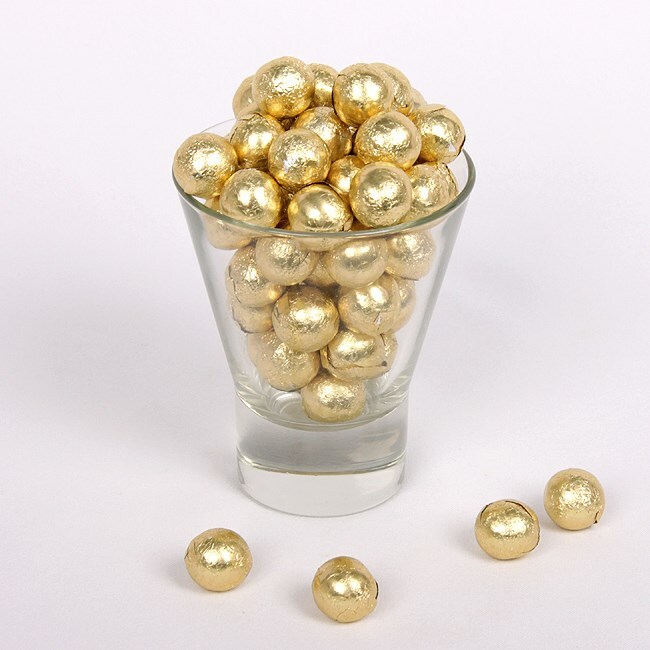 Delicious smooth milk chocolate ball shapes, individually wrapped in luxurious foil. 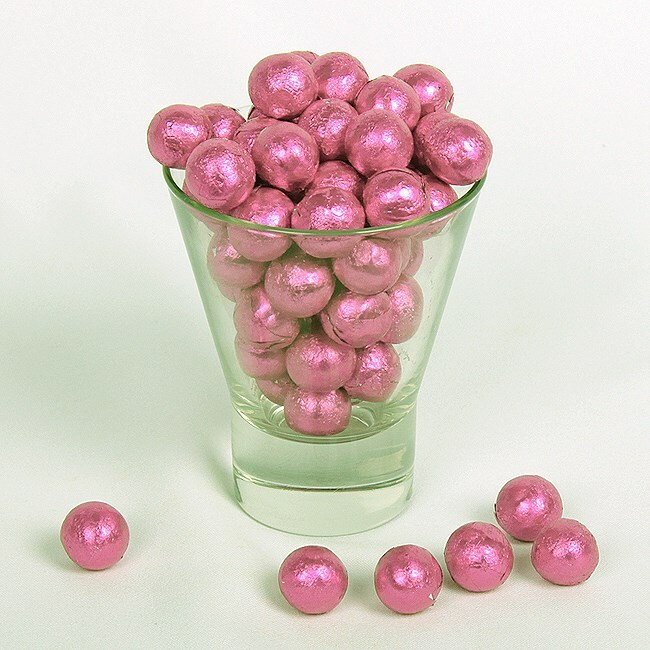 Our chocolate foil balls are made by a UK Chocolatier and are available in 10 different colours. 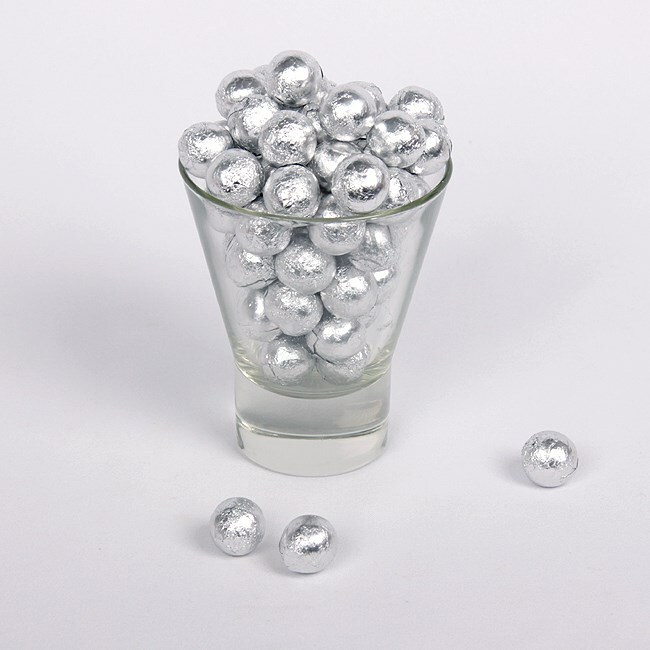 These delicious chocolate balls are ideal for filling favours boxes or just putting into baskets on your wedding or party tables. 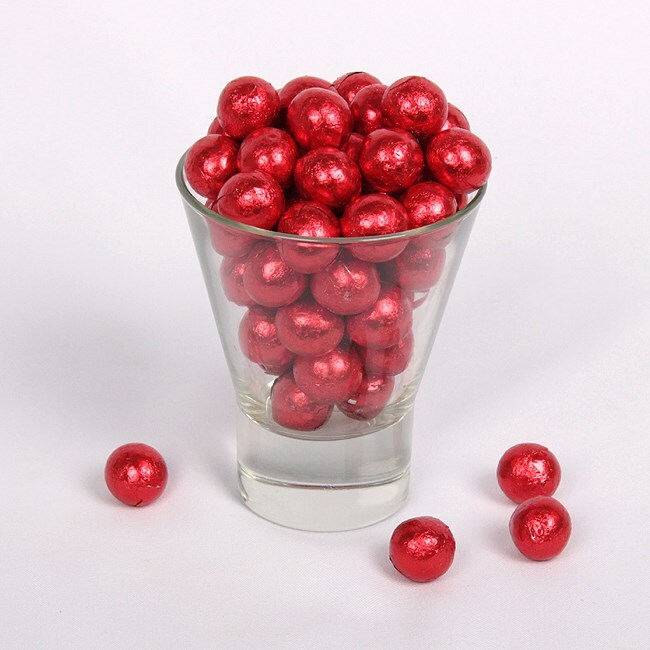 Sold in bags of 500 grams and contain approximately 100 chocolate foil balls. They are approx 2cm in diameter. 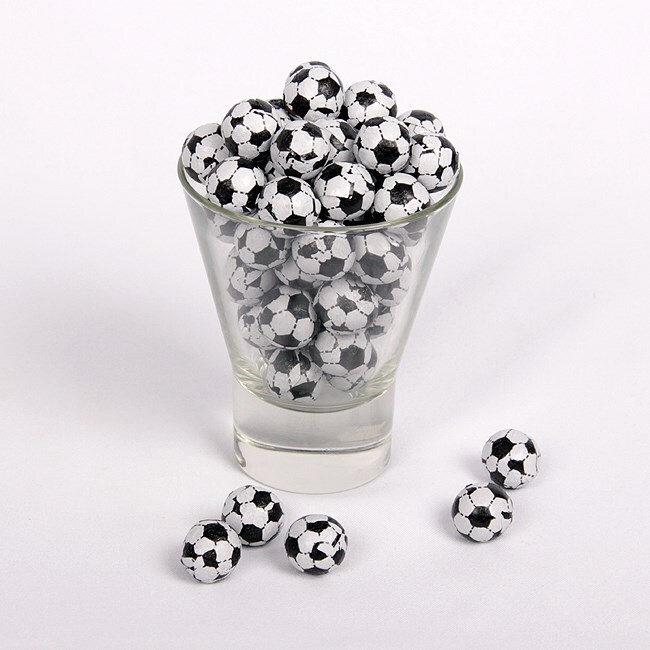 Our Chocolate Foiled Balls are suitable for Vegetarians and are Alcohol Free.